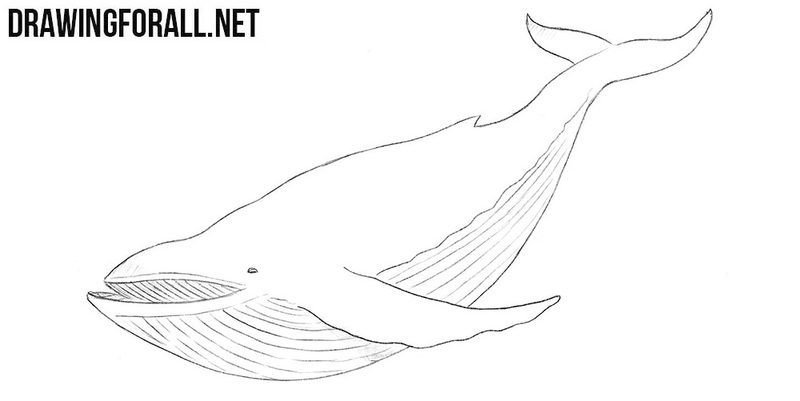 The head and torso of the whale – a single construction. 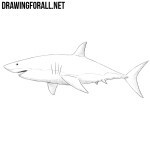 Draw an oval of irregular shape, mouth, fins and tail. 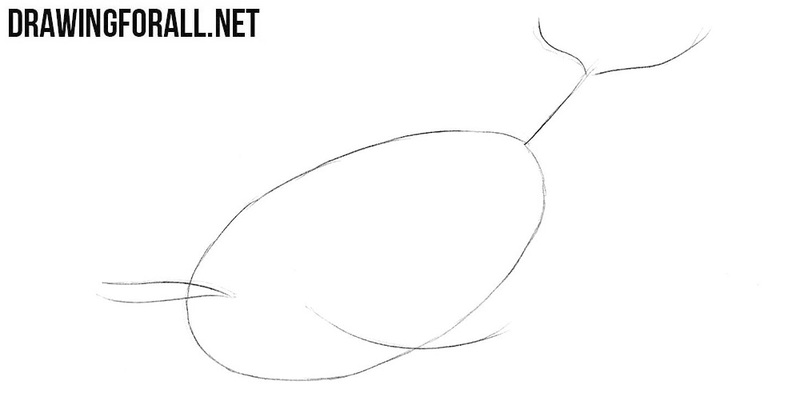 Connect the details from the first step and form the shape of the body of the whale. Thicken the fins and tail. 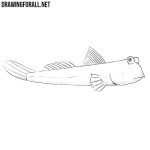 Draw a small eye and outlines of the mouth. 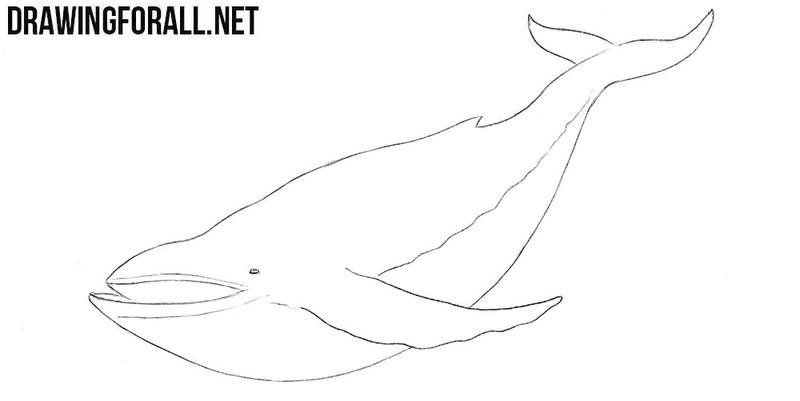 Draw a long wavy line that runs through the entire body of the whale. 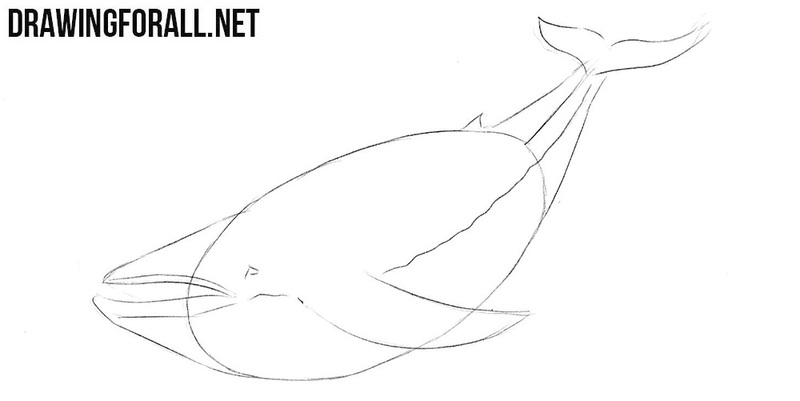 Remove all guidelines from the body of the whale and make the outlines of the body of the whale clear, smooth and dark. 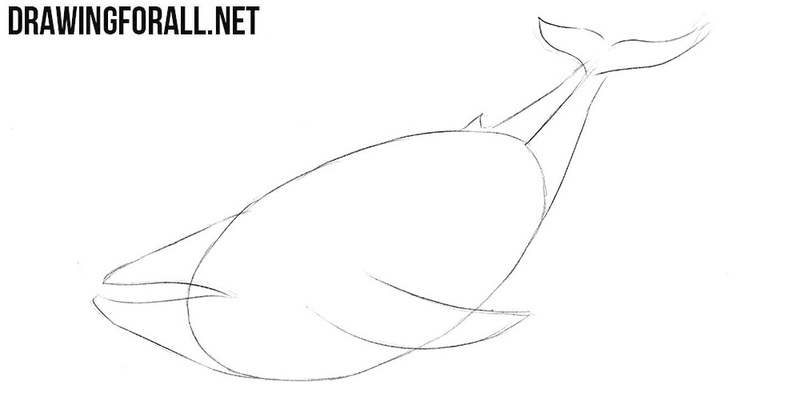 Draw long and slightly curved lines on the bottom of the body of the whale. 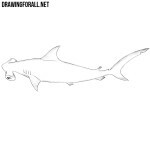 Also draw the stripes inside the mouth. 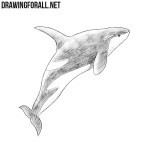 If you did everything right and followed our advices, now you know how to draw a whale. 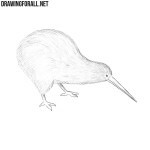 In order to perfectly master the art of drawing, visit our other lessons and draw as much as possible. 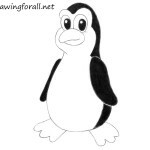 Using this lesson draw different whales from different sides and in different poses. As we like to say – only constant practice will make you a real artist.